The rooms were very comfortable , staff was helpful and polite. The perfect place to stay at V. N. de Milfontes! We always staying at the Duna Parque always enjoyable . recommended. Very clean when arrived. Pool area pretty good. Coffee in bar excellent and only 80 cents a cup. Staff friendly. Staff very helpful. Nice atmosphere at the bar in the evening, the boys enjoyed the activities available. Breakfast was great. Beautiful place with quiet, not crowded beaches. Absolutely fantastic view on the ocean from our appartment. Walking distance to the main street with restaurants. Very helpful reception desk staff while checking in. Nice place for those who do not like crowded, touristic areas. Full kitchen equipment, big and clean bathroom. Our second stay, and we will come back. We liked very much, it was a pleasant stay for a family with a little child. Swimming pool and playground's trampoline were great. Kitchen equipment really ok and very clean. We had a generous amount of towels. Good location. At the beachclub we contacted immediately with another Dutch family and our and their kids had a great day of joy, at the swimming pool, beach at sunset and in the playing area outside. The apartment is small but offers enough space for a family. We had great sunny weather, so we stayed outside a lot. The surrounding area is beautiful with a nice beach. Go to the restaurant at the beach, downstairs near the viewpoint. 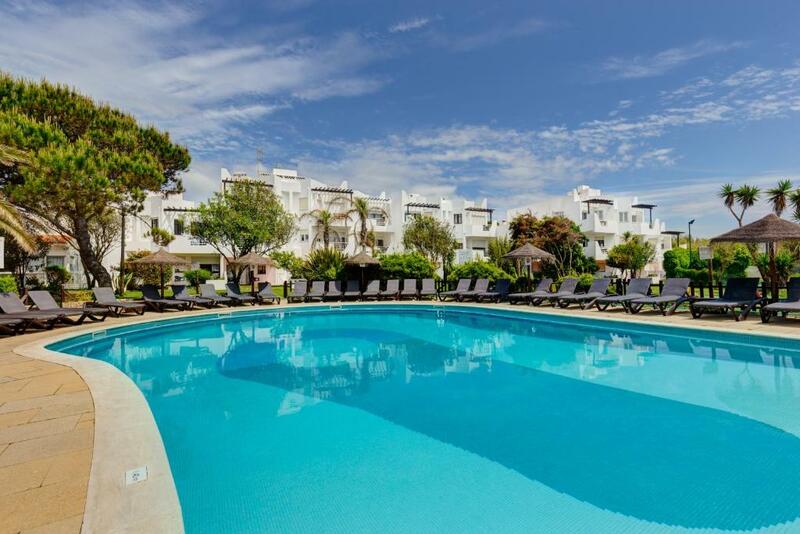 Lock in a great price for Duna Parque Beach Club - rated 8 by recent guests. The Duna Parque offers 2 pools and modern accommodations in a natural paradise full of dunes, beaches and Atlantic Ocean views. The nearest beach is just 100 yards away. The bright suites, apartments and villas are decorated according to different and unique, colourful themes. Each lodging offers a DVD player, kitchenette and balcony. Duna Parque’s restaurant and bar serve regional dishes and fresh cocktails. The city centre of Milfontes has a variety of local restaurants and is less than 0.6 miles away. Guests can exercise in the large gymnasium or enjoy the Finnish sauna with aromatic vapours. 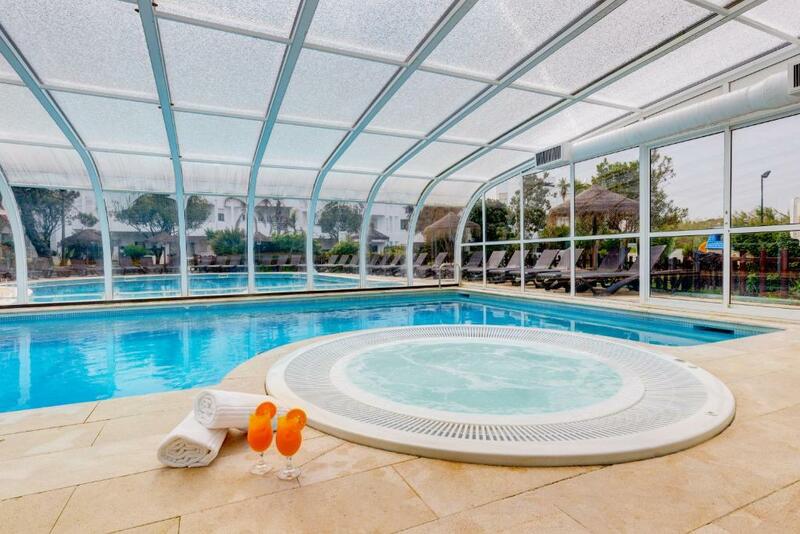 After a visit to the hot tub, guests can test their sport skills on the padel court at an additional cost. Duna Parque is located a 2-hour drive from Lisbon. The Algarve Coast is a 1.5-hour drive from the apartments. Duna Parque Beach Club has been welcoming Booking.com guests since 1 Feb 2010. When would you like to stay at Duna Parque Beach Club? Modern apartment including 2 separate bedrooms. It has a living room with a satellite TV and a DVD player and a kitchenette with a microwave. Spacious, modern apartment with a bedroom including 2 single beds. It has a living room with a satellite TV and a DVD player. The kitchenette comes with a microwave. - Stay in 1-bedroom apartment with capacity for 2 adults and 2 children (up to 4 years old). Please note that half board may be used at one of the HS Milfontes Beach restaurants, within a 5-minute walk. Additional information provided at check-in. Please note that for children aged 5 to 11 years old there is an extra charge of EUR 10 per night, and aged 12 or older EUR 17.50 per night, for the half board, to be paid directly at the property. - Massage for 1 guest. Nas instalações os hóspedes podem ainda encontrar o Wellness & Beauty Spa do Grupo e um campo de ténis. Além disso, podem praticar actividades como canoagem, surf, Stand Up Paddle Boarding, pesca e observação de aves no rio ou visitar as lojas do centro histórico de Vila Nova de Milfontes. House rules Duna Parque Beach Club takes special requests - add in the next step! Up to two children under 12 years are charged EUR 17.50 per night when using existing beds. Duna Parque Beach Club accepts these cards and reserves the right to temporarily hold an amount prior to arrival. Please note that all stays include daily cleaning (except Sundays and bank holidays) and change of linen and towels every 4 days. 7645-291 Vila Nova de Milfontes. Please note that the breakfast is served from 7:30 to 10:30 at another property of the Group, 750 yards from Duna Parque Beach Club. Please note that a swimming cap is mandatory when using the indoor swimming pool. Patio door was not secure, lock broken! Shower not good spray and wall fixing was floppy so had to hand-hold to get effective water spray. sauna, by photos it seams a lot bigger. Loved the apartment and the service. Found it difficult to find the reception office. Suggest including a map with the confirmation.